I’d like to invite you to a book event taking place tomorrow, June 13, at Bookworks in Albuquerque at 7:00 pm. 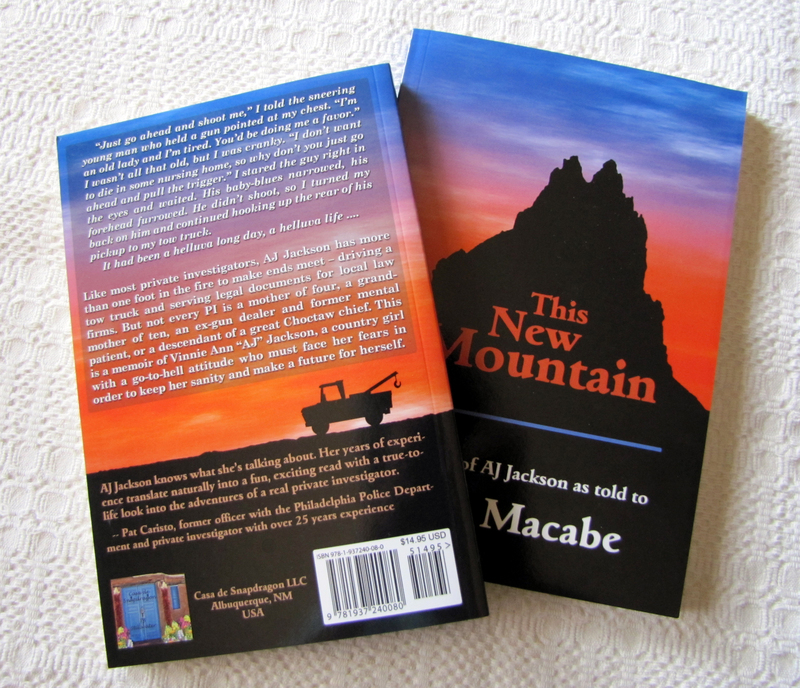 Private investigator AJ Jackson and I will discuss her memoir This New Mountain. I’ll be reading from the book and AJ will answer all those questions you’ve always wanted to ask a private eye. There will be cake and some nifty new bookmarks to take home…so come on by and say hi. This entry was posted in News and tagged book signing, This New Mountain by Cate Macabe. Bookmark the permalink.